A fairly recent poll surprised me in that nearly 60 percent of American pet owners, including 55 percent of cat owners say it is OK to have a cat declawed, but only 8 percent approve of having a dog’s vocal cords removed, according to an Associated Press-Petside.com poll. I have never removed a dog’s vocal chords, and I stopped performing declawing in my veterinary practice. Declawing is an amputation of the last joint of your cat’s feet. If you have ever cut the end of your finger, you can have a small sense of how painful this is. Imagine removing the end of all of your fingers, have them bandaged, then be left with mild pain medication that won’t give you 24 hour pain control. Hopefully the surgery heals properly, for complications such as chronic infections are not uncommon, then now imagine typing, tying your shoes, using a comb, or holding a fork. This procedure is extremely painful, whether or not pain medication is used. This changes your cat’s anatomy, affecting how they walk; removing the claws drastically alters the conformation of their feet. Your cat also loses their main way to defend themselves- they can then easily be attacked and killed by predators, being unable to defend themselves. Some clients have reported that their once friendly cat develops a more aggressive personality- they literally have a completed changed behavior. In my opinion this is an unethical procedure that veterinarians should immediately stop performing- this procedure is now illegal throughout Europe. If you have a cat scratching problem, start with some common sense. 2.Scratching posts- give them multiple spots where they can scratch. 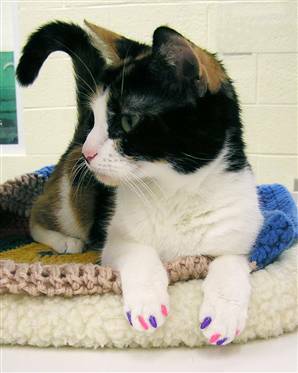 3.Consider alternatives such as the nail covers, Soft Paws. Cats are wonderful pets that NEVER deserve to have their toes amputated. I would wonder if declawing is not preferable to dropping a cat off at a shelter or otherwise dumping the animal if all attempts to stop destructive behavior have failed… Likewise, if a dog cannot be trained to curb excessive barking despite reasonable efforts and neighbors/landlord are complaining, etc., I would rather see it ‘debarked’ than dumped at a shelter or euthanized. A husky-type dog in my neighborhood was debarked —some call it ‘bark softening,’ which might be nearer the truth— and it didn’t seem to bother him a bit. He still got to yell at me as I walked by, just not at an objectionable level. Of course, this opinion comes from one who cringes at those whose goal in life is to neuter everything/anything that moves, so my political incorrectness is showing. Sometimes compromise is better than standing on principle. Here! Here! I AGREE Dr. Jones! Cats should never, ever have their claws cut! It IS unethical and terribly selfish on behalf of the owners to do this. These owners are not thinking about the animal. They are thinking about their own needs. It SHOULD be banned! Have always hated it and will continue to protest it and I’m happy to hear that you stopped doing it in your practise! I am completely against declawing. Cats need their nails…period. I cannot believe that Dr. Jones suggested “letting them go outside” for stimulation. I read a statistical fact years ago that stated cats that are allowed to go outside live an average of 4 years, while inside cats live an average of 14 years. I have 4 inside cats (with all of their claws). My oldest just died at the ripe old age of 18. When I was a child, my parents let our cats go outside. Not one of them lived past the age of 6. They all got hit by cars or killed by dogs. I have a Ragdoll and she is not de-clawed and she lives indoors. I am of the opinion that cats should be kept indoors or in a screened in area if outside. As for the de-barking issue I would rather have my Shelties de-barked than have to re-home them because of neighbours complaints about barking. I also do not believe in spaying or castrating unless it is medically necessary. Totally agree with you on this one, Andrew. De-clawing and de-barking represent one of the heights of ignorance that we’ve succumbed to in animal exploitation in general. any human that has a cat declawed, should also have their tips of their fingers removed as well. that is what has been done to the cat. you can imagine what the human would do without their fingertips. i can not believe vets do it. as doctors their oath is first do no harm. they should say no, and all refuse to do it. it is wrong. all my cats have ALL of the claws. never would i do it. i clip their nails once a week, starting when they are young. they never like it, but they learn it is a minor annoyance, soon over. being declawed makes them depressed, can make them prone to bite. i can understand why. BE GOOD PEOPLE AND DO NOT DO IT. I have to disagree. I have had many cats. Never used to declaw. My walls were in shreds, and yes they had scratching posts, but just purrfured my walls. I tried it with a few and they never had any problems. Yes, they were sore for a week or so as they always are with spaying or neutering but afterwards they acted and did all the same things they always did before the procedure. They still have their back nails as the scars on my legs will attest. Sorry you all feel so strongly against it. I do love my kitties with all my heart. Forgot to mention that I would only do this for indoor cats. I have had a cat once, given to me it was an indoor cat and it was declaw, but I must admit I did not know anything about what is done to the cat at that time. Now I know better, I have 3 indoor cats that have the run of the house and an outside inclosed area for them also to run plus I have 3 small dogs and they play together all the time, yes they do claw the bedding sometimes so we correct them we have used the soft claws and they work great. To Dianne I would only add there are better ways and if you had a problem did soft claws come to mind or was it just easier to cut their tips of their paws off. It seems we humans always justify our lazyness and take the easy way out. Soft claws have to be reapplied every so often. To much work for the little guys in fur coats to do for. I also have a rescue cat now living in my studio who has all its claws and nothing has been touched and I have some very expensive backdrops. I volunteer at my local shelter and can say first hand that the declaw does not keep cats in their homes. I have seen many cats euthanized that have been declawed. I have seen many cats dumped in boxes with notes that say “I can’t take it any more”. In my opinion if you raise the rights of your furniture to the rights that your animal has to be whole and pain free (as declawed cats are most often in pain) then you shouldn’t own that particular animal or you shouldn’t own an animal at all. I do support the spay and neuter of cats and dogs if the owner is not capable of preventing the breeding of said cat or dog. I take in over 100 cats a month (70% of which are kittens) and have only 14 cat cages you do the math. Dr. Jones, The only person I’ve ever known to remove the vocal cords from her two dogs was an ex boss, and I’m almost 64 years old. She had a party at her house and I kept hearing this strange noise coming from outside. Thought it was a terrible thing to do to her dogs, of course they knew that they were ‘different’ from the other animals. However, the last time I declawed my cats was 24 years ago. My cats never had any problems….changed the kitty litter for 2 weeks like they tell you to do. They were happy, content, and the last 3 lived to be 17, 18, and 19. I don’t regret what I did in the past, however I did promise my eldest son that I would never do it again, and I won’t. You are so right Dr Jones, declawing should be banned…. worldwide! Here in England our vets never declawed cats even before it became illegal because it is cruel major surgery which disables cats for life and often causes many mental/physical problems. I have been helping my American contacts educate and fight towards a ban for around 6 years now and we know that declawing does not keep cats in their homes, just the opposite in fact! People who can’t tolerate a cat with claws certainly can’t cope with the behavioural problems which manifest from declawing. Many declawed cats end up in Shelters! Many unadoptable are killed in Kill Shelters. I am pleased to see the Paw Project making great progress with their film, I have watched it and am very impressed and we here who look upon declawing with shock and horror are always happy to read about another American vet who has stopped declawing. Judy, declawing does not saves lives and it surely does not keep cats out of shelters. Shelters are full of cats that are in pain and have mutilated paws. The bottom line is that it is extremely cruel and barbaric and no one knows what the outcome of the surgery will be. If you don’t want claws in your home, get a fish or a stuffed animal. Dianne, I have to disagree too. If you know what declawing involves and how it affects the cat and you proceed with the unnecessary surgery, your love is very limited if that is what you call loving with all your heart. Curious, how old were your cats when you declawed them? I am a foster for a rescue in Cincinnati. I have seen quite a few cats come into our rescue that have been declawed. They are surrendered for reasons like I can’t take care of them anymore cause they bite or they don’t pee/poo in the litter box etc etc. Do you know how hard it is to re-home a cat that bites or won’t use the litter box because it is too painful for them to step in because the de-claw left them in pain and are now in constant pain? I’m not saying all cats will be in that same situation with pain but people are just saying oh it’s like cutting tips of fingers off, I think it’s a lot more than that. wrap your hands so you can’t use your fingers for just one day. And that doesn’t include the pain. Your pet, especially cats can’t talk to you to let you know they are in pain. And most cats don’t really show signs of pain, but will change their behavior just the slightest, outside litterbox poohing/peeing, biting etc etc. The best cat I ever had was declawed. He lived to be 16. He was sweet and calm. Never had any problem using the litter box. Loving and playful. He was not in pain or uncomfortable. YES…they DO let you know when they are. He walked just fine. ALL pets should be spayed or neutered. It’s the responsible thing to do. Pets are happier and live longer,healthier lives. Many behavior problems can be avoided if all pet owners realized this. Loving and active, my cat never missed tying shoes or typing. If people didn’t leave their dogs outside so much,to be lonely and bored,they wouldn’t bark and annoy the neighbors. PETS are meant to be indoors interacting with people. I have had a number of cats in my lifetime. They were all outside cats except for one. The oldest died at 22. I adopted a cat about 5 years ago, and took him home and found out he was declared. I can only let him out now, when I am around to watch him. I feel so sorry for him, because he can only defend himself by swatting my other cats with his big paws. Which took some time for them to except him, and not go after him with their claws. If people are so worried about the cat ruining something in their house, maybe you should not own one. I have had a number of cats in my lifetime. They were all outside cats except for one. The oldest died at 22. I adopted a cat about 5 years ago, and took him home and found out he was declawed. I can only let him out now, when I am around to watch him. I feel so sorry for him, because he can only defend himself by swatting my other cats with his big paws. Which took some time for them to except him, and not go after him with their claws. If people are so worried about the cat ruining something in their house, maybe you should not own one. Spay/Neuter: I CAN NOT BELIEVE that people who love animals will not spay or neuter them! I guess these people have never seen cartons full of kittens or puppies dropped on the side of highways … drowned … or if the irresponsible people are feeling *really* generous, dropped at the shelter. In a society where animal populations are concentrated, there’s NO EXCUSE for not spaying/neutering. The overpopulation of domesticated animals is a terrible problem and leads to suffering for all their kind. DECLAWING: I’m astounded when people put the appearance of their furniture above the normality and happiness of their cats. The term “declawing” [like the term “female circumcision”] is VERY erroneous. It is AMPUTATION, pure and simple. Yes, try operating as a human for the rest of your life with no distal joints and constant phantom pain. With pain every time you use your hands. Cats depend on their front feet to groom themselves, for moving about, for jumping, and for EXERCISING the muscles of their front legs. Claws help them maintain the ability to stretch and flex their leg muscles and muscles along their bodies. INEFFECTIVE SCRATCHING POSTS: Any post that is not heavy enough to stay in place. This is why cats prefer furniture. It’s heavy and doesn’t move. Get a cat “tree” with sisal or wood posts as long as your cat when your cat stretches to hir full length. This is usually about four feet. Or get a tall post with a supporting square of wood wide enough for your cat to stand on as s/he claws the top of the post. Effective “floor models” are the long cardboard scratchers that allow the cat to hold the end with their own weight, or the noodle shape covered in carpet and sisal fiber — heavy enough that it doesn’t move when the cat scratches it. Your hands and fingertips are vital to you. Their front paws are vital to cats. Yes, some cats are fortunate and manage to adapt to this crippling, but often develop arthritis in their feet, legs and so on. DON’T DECLAW. I have cats because I can’t abide the constant barking of some breeds of dogs. And I really do like dogs. The trick, I think, is to spay/neuter so the territorial behavior is curbed; train dogs early to bark at *appropriate* times/stimuli, but that requires 24/7 supervision; the other trick is to get the CORRECT BREED for indoor living, or for your circumstances. It is mean to confine a working breed [Border Collie] to a small apartment where it cannot exhibit normal behaviors for its breed. THIS IS CRUCIAL and many dog adopters/buyers fail to realize this stuff. They get the dog b/c it’s cute. And dogs are really, really sweet and cute. Cats scratch, dogs bark. If you can’t deal with it, don’t get one. Spaying and neutering is for the benefit of the species by giving everyone a better chance at a responsible home (reducing competition for good homes). Totally agree. Thank you for taking a stand. When you said “outside”, I assume you meant in a catio. The arguments above state that declawing may stop someone from taking their cat to a shelter — this line of thinking misses an important point. I have been fostering for cat rescues for many years. During that time several cats had been surrendered to the shelter or the rescue group AFTER they were declawed. The reasons given: they stopped using the litter box or started being aggressive with other cats in the home. It is relatively easy to teach a cat not to scratch: put the scratching post in front of the furniture they are scratching. Then slowly over several days move the post to a place you want it. If you can afford declaw — you can afford several scratching posts. Blue Boots. In 2013 Blue Boots was surrendered for behavioral issues including litter box avoision and extreme aggression. Fortunately, someone stepped in and Blue Boots went to a Specialty Purebred CAT Rescue foster. The vet through SPCR found the cause that explained everything, though most people would not have connected the dots, as Blue Boots’ original owner did not. See, years earlier, Blue Boots had undergone a 4-paw declaw procedure. It’s quite routine and widely accepted in the US and even vehemently defended. What you see in these photos are the deformed claws that were growing WITHIN and THROUGH Blue Boots’ paw pads. In one study of declawed cats in a particular shelter, one vet found that 66% had left over P3 fragments from the declaw being performed improperly. 33% of them had more than 5 fragments. Of those with fragments, 45% had at least one fragment larger than 5 mm. 28% had a 100% fully BOTCHED declaw procedure, meaning they had bone fragments larger than 5 mm left in each declawed toe. In the case of Blue Boots, he was 100% botched, meaning those bone fragments left behind in each toe also included a part of each nail bed. Over the space of time after his declaw, the ingrown claws caused constant pain and resulted in his litter box issues and his aggression. Again, his owners weren’t able to connected the behavior with the cause and he would have been killed. If an individual MUST have a declawed cat, either due to the potential health risks of a possible scratch or due to the rules of their living arrangement, please consider adopting an adult feline from a rescue or shelter that has already been declawed. If a child colors on a wall, you do not cut off their fingers. You teach them not to. The same applies to kittens and training them to use an appropriate scratching surface. There are so many alternatives and humane solutions. 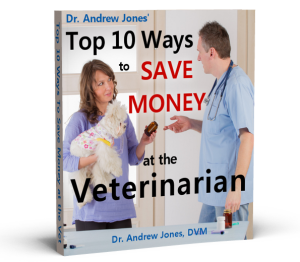 This is not merely my opinion, but a truth based upon the research of countless veterinary professionals, proven statistics and studies done throughout the world. Declawing is now banned in at least 22 countries. I was horrified reading thw mails, I have cats and dogs, they are in and out all day, playing together,spaying and nautering is fine, but to mutilate your best friend because it scratches the furntiture is cruel, I have many scratching surfaces,I have 3 Manx cats, their breeder and their mothers train them, they are born in her house, and are inside with cats af varying ages,till they follow mum outside, then back inside and at 4months are ready to rehome as happy healthy furkids,I was told to spray bitter orange where they were not allowed, and catmint inside where they were allowed, and catgrass outside, never had a problem, one dog was a door scratcher, but a water pistol stopped that. Please remember that animals are your choise to own, if you cant take their ways, buy a stuffed toy. I am so against declawing. I have a large multiple cat household. I have never declawed any of mine. I have one who is delcawed but she was when I rescued her. I provide my cats with lots of options so they don’t need to claw the furniture. Scratching is such a part of their nature. Thanks Dr Jones for taking a professional stand against this. When people have a cat declawed they are thinking more about themselves than the pet. I also believe it leaves the cat with some emotional problems. My cat Tansy has some fear issues. I think she knows she cannot defend herself. Let’s face it, too many times we think what is best for us and not what is best for the pet. Our furniture has suffered, but it feels no pain. My cats? Well, they’re happy with their little toes intact and they feel no pain either. Furniture can be replaced, kitties’ toes can’t. So, I guess you can figure out how I feel about de-clawing. We used a bottle squirter to prevent the scratching, “The Teacher”, but it only worked so long and then they just didn’t much care anymore. Besides, like the little buggers they are, I’m sure when we aren’t home they do it anyway, because they can. Oh well, we love ’em too much to get angry with their inborn ways. We couldn’t imagine our life without them…perish the thought. De clawing the animals is not good. I am not happy about that. I just wish people will come to understand that animals have the same feeling and fears as we do. On another note something I am hoping you can help me with. Last year in October my little Dachshund went blind through SARDS. I have had him with several Vets including the eye institute in JHB and none of them could give me an indication as to why or any hope of a cure. I am not expecting miracles from you. I just need to explore every avenue I think may lead to a cure. His weight went from 5 Kg’s to 11 Kg’s in a matter of weeks. He could no longer jump up on a bed, walked with his head hanging on the floor, went from a perky cheeky little dog to a sad pathetic blob. I have since brought his weight down to 9.3 Kg’s and he is jumping up on the bed again, become a lot more perky, now wants to run when I take him for a walk and plays with a squeaky toy. he is on his way to becoming his old self again. Much happier. He is a marvel in the house even outside. he negotiates himself around without any trouble, loves to lie in the sun. He is 7 years old, but I will never stop looking for some help for him, so on the greatest of hopes, do you know of something that can be done for his condition? It is thrilling to read that another veterinarian is refusing to perform declaw surgery on cats. Thank you so very much for joining the cause and posting the truths about declawing. It is sickening to know that so many vets, whose sole purpose is to protect and heal animals, prefer to subject these same animals to harm and torture in pursuit of the “Almighty Dollar”. Shame on them! Congratulations to those who uphold their veterinary oath and only heal and protect animals from harm!